Sensory and mental deficiencies and deficits. Body disfigurement from burns and shock. The vast majority of these electrocution accidents are avoidable and are often caused by the negligence of the party responsible for the property maintenance, or supervision. If you or a loved one has sustained an electrocution injury on a construction site or on private property, please do not hesitate to call the Law Offices of Michael A. Fiumara for immediate legal help. Since 1992, this law firm has been committed to the worker, helping construction accident victims obtain the full and maximum recovery that they need and deserve to cover all medical bills, lost wages during recovery and pain and suffering. We have won multiple million dollar settlements for our clients through settlements and jury verdicts. Please call our offices at our conveniently located office in San Rafael in Marin County at (415) 492-4507 or our centrally located Santa Rosa office in Sonoma County at (707) 571-8600 and if it is after hours you will be connected to an operator 24/7. 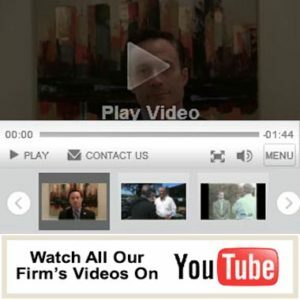 Find out what our law firm can do for you. Falls caused by electric shock. Electric shock can damage both external skin and internal organs. Some electric shocks may only seem to leave a minor external wound or mark; however, these may have actually caused major internal damage to vital organs and need to be examined by a competent doctor or neurologist. It is our recommendation that all electrical shock injuries and/or electrocutions be evaluated by a competent, experienced medical professional, no matter how insignificant they may appear on the surface! From our interaction with the medical community for the past twenty-five years, we know which doctors and experts would be most suitable for your case so please call us for a free, confidential consultation and case evaluation. WHAT ARE THE CAUSES FOR ELECTROCUTION ACCIDENTS? Live wires that have not been grounded. Inadequate lighting at construction sites. California’s regulatory agency, OSHA, which is in charge of enforcing the strict safety requirements at construction sites to protect workers from deadly electrocution accidents is not always successful in doing its job. Greedy and/or slip-slop employers oftentimes ignore their responsibility to maintain a safe working environment for their employees. When an injury results from such negligence or outright recklessness, it is only right for the injured worker to be thoroughly and fully compensated for all damages that he or she has suffered. A separate third party Negligence lawsuit is appreciated under these circumstances. HOW CAN YOU BE COMPENSATED FOR YOUR ELECTROCUTION ACCIDENT INJURIES? Electrocution can be both a workers’ compensation matter and at the same time a premises liability case or a third-party Negligence or liability Lawsuit. All lost wages including future wages: If your injury has left you unable to perform your job duties for a period of time, you may recover the income lost during that period and any future income based on actuarial tables and charts that we have our experts evaluate on your behalf. All pain and suffering derived from an electrocution accident: If we file a personal injury lawsuit against a responsible third-party such as the manufacturer, or the supplier of the faulty and defective wiring, you may be compensated for what is known as “non-economic damages” which include anxiety, depression, grief, and all emotional distress, related quality of life damages and all pain and suffering. For your personal case evaluation of your potential damages in your case, please feel free to consult with a trusted electrocution and personal injury attorney from the Law Offices of Michael A. Fiumara. The highly skilled, experienced and dedicated personal injury attorneys at the Law Offices of Michael A. Fiumara are there every step of the way leaving no stone unturned and work every angle to achieve the maximum amount of compensation for all of our clients! If you are currently seeking a well-established and proven law firm that always puts their clients first, contact our offices today. We offer a free and confidential consultation and case evaluation. Please feel free to call our office 24/7 at (707) 571-8600 in our centrally located Santa Rosa office in Sonoma County or call our office in San Rafael in Marin County at (415) 492-4507 to schedule a free and confidential consultation and case evaluation 24/7. If you call after hours, our operators will connect you to one of our experienced attorneys 24/7.